Tenet Travel Insurance is a well known reputable brand among Singapore travelers but not many know that Tenet Insurance Singapore has recently been bought over by Sompo Japan Insurance Inc. This may be due to the union between Sompo and Tenet has little or no impact on its insurance products, particularly, Tenet TravelJoy. Tenet TravelJoy Insurance is a highly sought after travel item, besides cheap travel deals during NATAS Fair. The discounts offered during Tenet travel insurance promotion at the travel event can go down as low as 45%. With more and more Singaporeans traveling overseas for holidays and many are aware of the benefits of getting covered, travel insurance has become a necessary expense when planning for travel budget. The Individual Plan’s premium of Deluxe Annual Plan for worldwide coverage is S$393. It’s more worthwhile to purchase a Family Plan at S$707 which covers the insured, spouse and with any number of children. But there is a catch. Child insured under the Family Plan must always travel together with at least one insured adult. If a child is aged 16 and above and is not traveling with his parents, a separate Individual Plan will have to be purchased. Tenet Travel Joy Insurance’s single trip plan covers up to 182 days while its annual multi-trip plan covers up to 90 days for each trip with unlimited number of trips allowed in a year. If you think you want to stretch your dollars by buying an Annual Multi-Trip Plan as you are planning to hop from one country to another for more than 90 days, think twice. The Annual multi-trip plan only covers up to 90 days per trip. If you are buying a Single Trip Plan for a trip that involves traveling to a few countries, premium will be calculated based on the country with the highest premium from the first day of the trip. No matter how well planned, a holiday can be affected by the unexpected. Don’t risk ruining your precious holiday due to unforeseen events. Make travel insurance your perfect companion for an enjoyable trip. 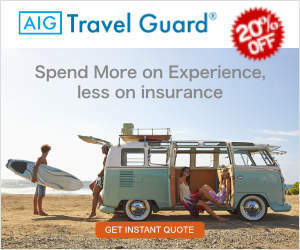 AIG’s Travel Insurance packages are great for people with lots of concerns; many are ‘one size fits all’ types. After spending so much time researching on travel insurance in Singapore, I decided to share my reviews on Singapore’s travel insurance and tips on how to claim travel insurance successfully. To travel worry-free, you will want to be covered by travel insurance. Singapore-based insurance companies, e.g. 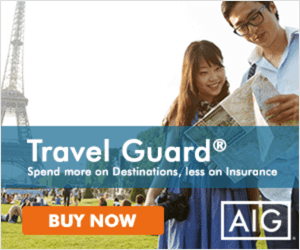 NTUC travel insurance offers easy-to-activate insurance coverage for your overseas holiday trip.